It got me thinking about what I do for a living and why I am so excited about it. It reminds me of a story told in a wonderful book by Arie de Gaus titled The Living Company. De gaus tells of the fate of two species of birds in 19th century England: the English Titmouse and the Red Robin. In London and other metropolitan areas, it was common for milk to be delivered to homes and left on the porches in bottles that were uncapped. This was before homogenization was common, so the cream would rise to the top. Titmice and the Red Robins, the most common birds at the time, quickly figured out that this an opportunity for a free breakfast and was a tasty one at that. All they had to do was land on the bottle and chow down. Over the years, with all this easy nourishment, their populations flourished. Their waistlines probably did too, if birds have waistlines. After World War I, however, pasteurization and the practice of sanitation became common, so the milk industry started capping the bottles with foil. Bad news for the birds, right? Well, the red robin population, indeed, almost died out because they had gotten so used to eating all this cream which was suddenly cut off. Meanwhile, the titmice continued to flourish. 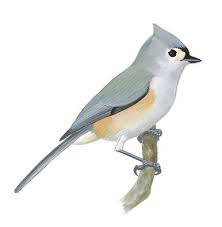 They discovered that titmice tend to fly in flocks. They roost together. They hang out together. And, they have breakfast together – on people’s porches. So, when one Titmouse would figure out how to poke a hole with his beak in the foil the others would watch and learn how to do it themselves. Consequently, everyone in the flock could get at the cream and all was good. Talk about team learning. On the other hand, red robins don’t flock together. They’re very territorial. 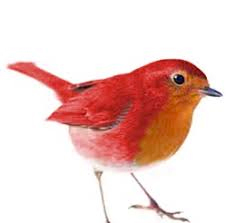 Only one red robin will occupy a certain area and will run off all others – a pretty common practice in the animal world. The bottom line is, they don’t flock together the way titmice do. So, when an innovative red robin would figure out how to poke a hole in the top of a milk bottle, no other red robins were around to watch and learn how to do it. Consequently, the entire population almost starved to death. Who wants to go eat worms after you’ve been raised on cream? If you have any questions or would like to just chat, please call me. I’m at 602-943-0985. You can email me larry@larry-johnson.com. Or, please visit my website, www.larryjohnsonspeaker.com. 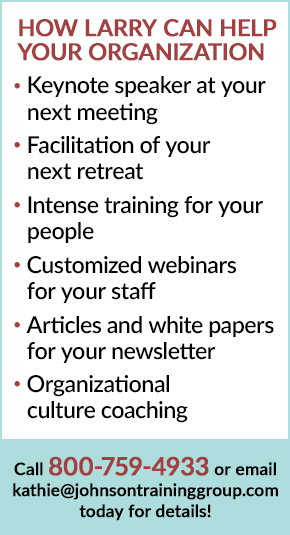 There’s information there about my services in training your managers to manage more effectively if you’d like me to come and flock with you. Until next time. Thanks a lot.